Today’s card is being featured on Stylin’ Stampin’ Inkspiration. The challenge was to create a card and feature a soup of the day recipe. I love when the weather cools down just enough to enjoy a giant pot of soup. One of my favorite soup recipes is for Sausage, Potato, Spinach soup. It’s a hearty soup with just the right amount of spice for my spicy husband. I took the recipe from Damn Delicious and it really is! And while I love a good pot of soup, the weather outside also call for the perfect cup of tea. 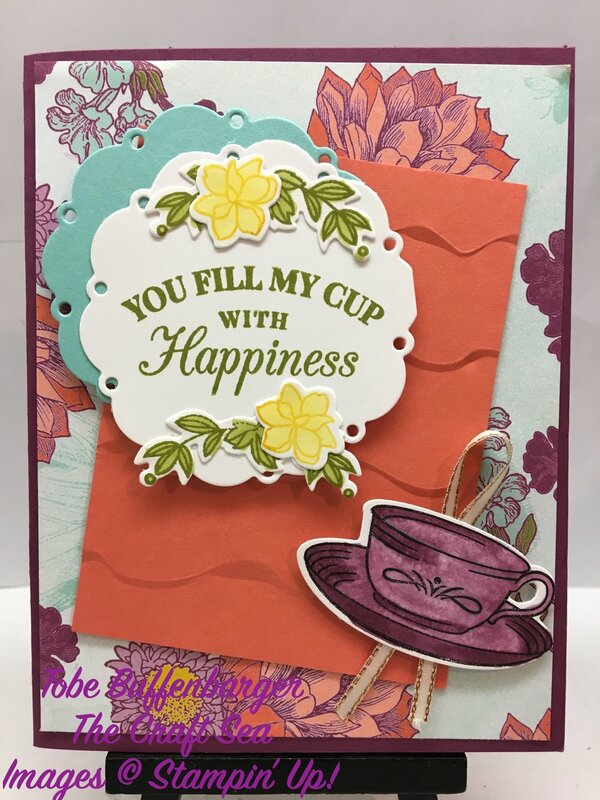 I decided to make a card featuring a great cup of tea! I really fell for the Tea Room Suite in the annual catalog and this is the perfect use of the suite!